ScreenshotThese people are totally fine. A bunch of writers at CNBC.com have been let go as the company continues its effort to transition the web property to one that better integrates CNBC’s video content. Sources tell Business Insider *8 people may have been laid off. 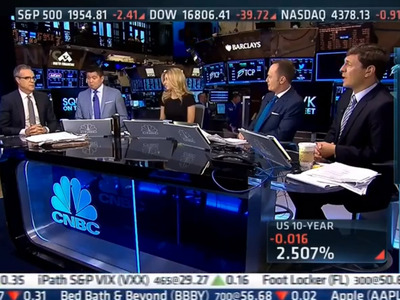 Brian Steel, a spokesperson for CNBC, confirmed that there have been personnel changes at the company. In other words, CNBC employees are just finding out about this as it happens. Those who were laid off were called into HR one by one. “It was like watching people get executed,” said the source. It’s a clear sign that CNBC is trying to change. The company just brought back John Melloy, who left the company to become CEO of Stocktwits.com. It also hired Eric Chemi, former Head of Data and Research at Bloomberg. *An earlier version of this post said that around 20 people had been let go.